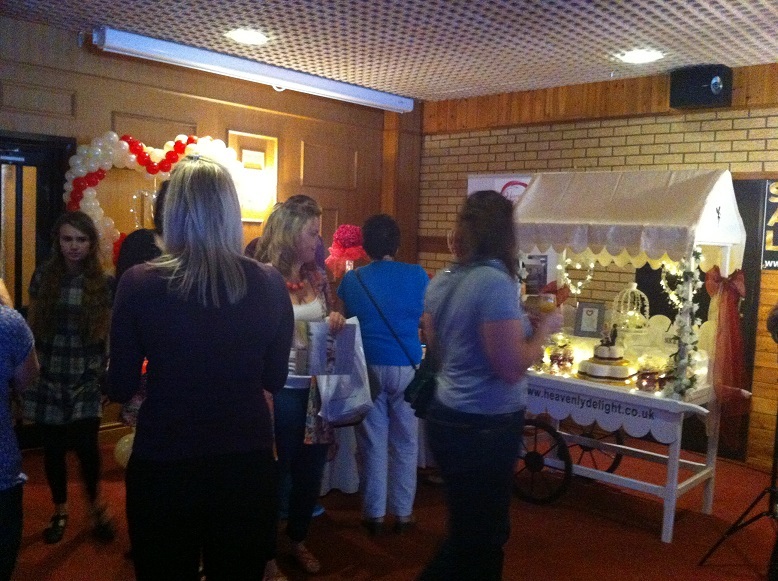 On Sunday 7th September, we ran our Budget Bride Live Wedding Fair at The Ruby Lounge at Diana’s in Wellingborough. We had a great day with lots of happy couples coming to browse through the offers, meet with the suppliers and watch the fashion shows. 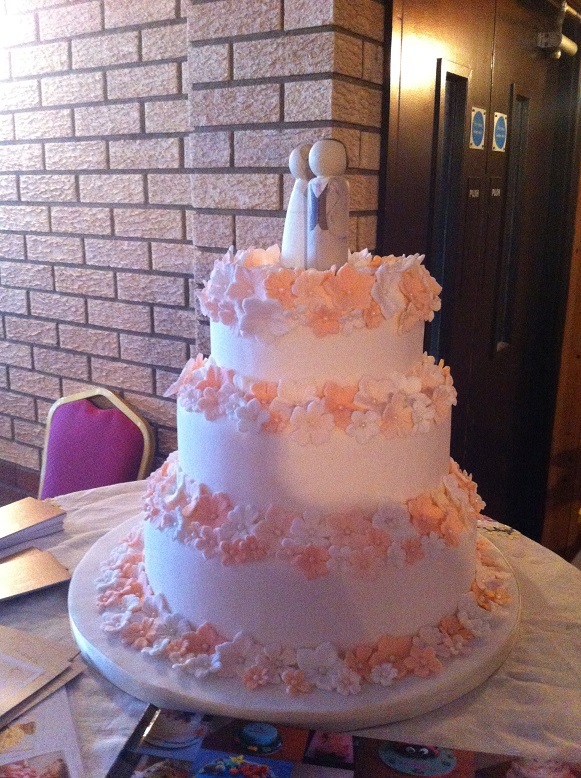 We had goody bags with glossy magazines from The Wedding Planner and Wedding Scene, and some delicious shortbread favour samples from Betty Bakes. The weather was amazing and I was so pleased to see Gerry’s Split Screen VW Camper Van getting lots of attention parked outside the Venue! 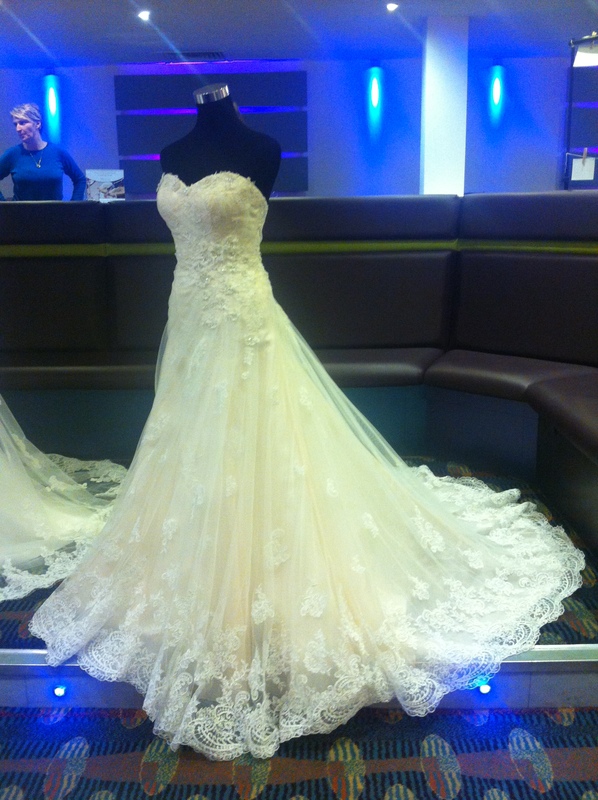 We had two fashion shows with Jewkes Bridal whose dresses are all priced under £600. I was very lucky to have help on the day from my sister Becky and from Zoe, who were on hand at reception to run the registration and to help exhibitors finding their spots! 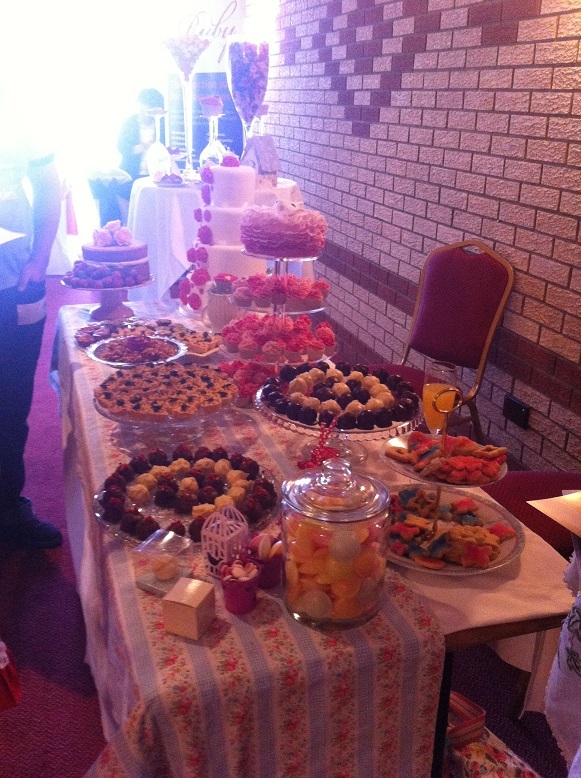 As for me, at 34 weeks pregnant and looking fit to pop, I must say that I took the opportunity to sit down at this Wedding Fair whenever I could! 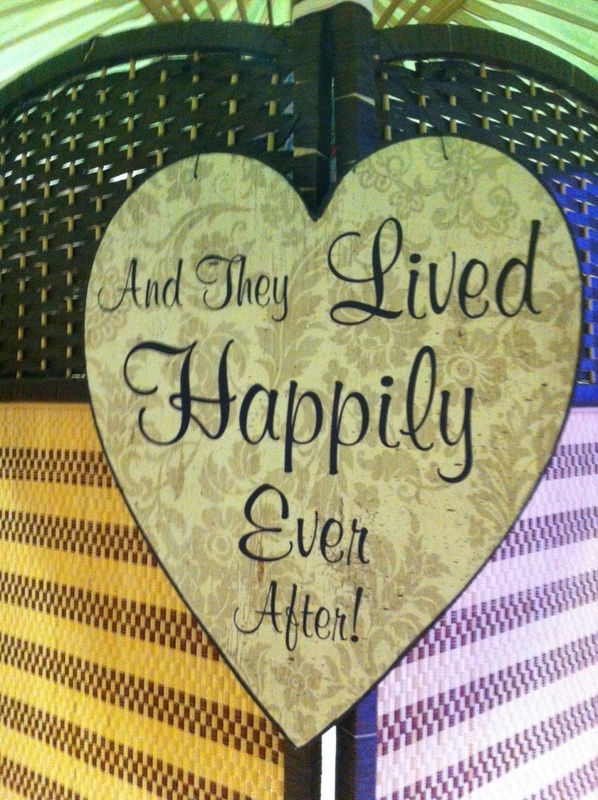 See you at the next Budget Bride Live Wedding Fair! I am so excited for our sixth Budget Bride Live Northamptonshire Wedding Fair which we are going to be running on Sunday 7th September from 11am to 3pm at The Ruby Lounge at Diana’s in Wellingborough! I think it may be something to do with the fact that I am shortly going to be going on Maternity Leave to have a baby (10 weeks and counting until the due date!) and I know that this is the last Fair that I will be running for a few months, but there is always such a buzz and anticipation in the run up to one of our Fairs, that I can’t help but have a few butterflies! This Budget Bride Live Northamptonshire Wedding Fair is going to be held in my home town of Wellingborough and we are going to be working with the cream of the crop of local wedding suppliers to ensure that we have a great group of wedding experts for you to meet with on the day! 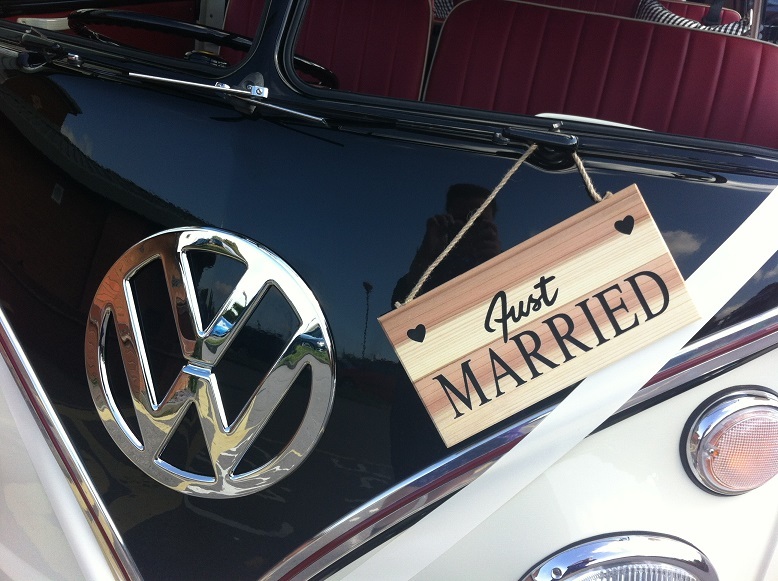 To give you a little taster, we are going to be having a brilliant range of services on display for you, from Candy Carts and Classic VW Camper Vans, through to expert Wedding Venue Stylists and brilliant Wedding Dress Boutiques – it’s all going to be going on! We are going to have two Wedding Fashion Shows – at 12noon and 2pm, so make sure you time your visit to see some beautiful wedding dress ideas for under £700. 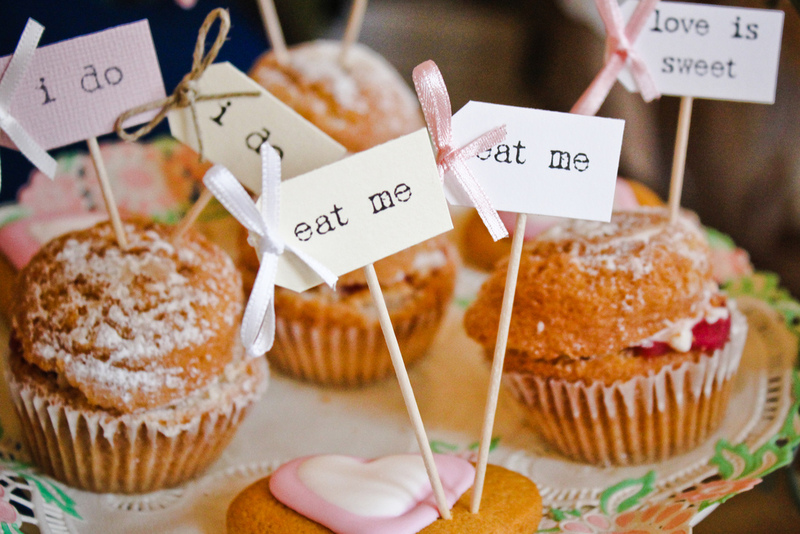 There are also going to be Catering Companies giving away delicious samples for you to try, plus lots of inspiration from Wedding Styling Companies where you can have a chat about your ideas and wishes for your wedding. 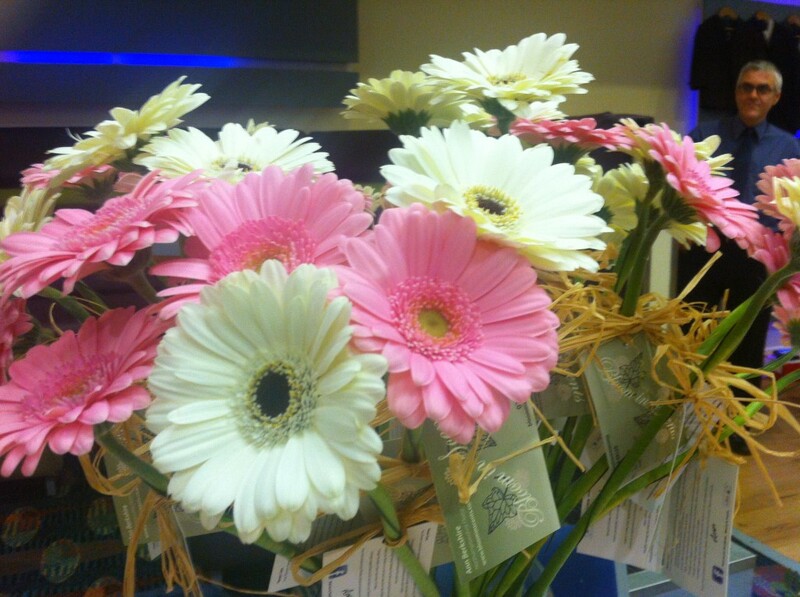 We will be giving away free goody bags full of money off vouchers, glossy magazines and treats to all who pre-register. There is also a glass of bucks fizz to welcome you on your arrival as well as free car parking on site, to make things nice and easy! 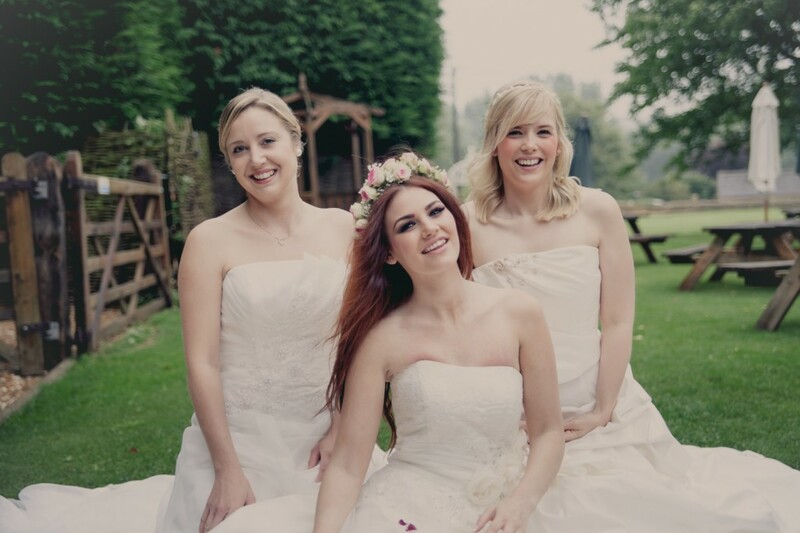 We can’t wait to see you at our Budget Bride Live Northamptonshire Wedding Fair – it’s going to be a fab day and we're excited to help you get sorted for your wedding day 🙂 So grab your bridesmaids and make sure you pre-register for your free place here! Today I am super excited as we’ve literally only got three more sleeps until our Budget Bride Live Wedding Fair at The Ruby Lounge at Diana’s in Wellingborough. 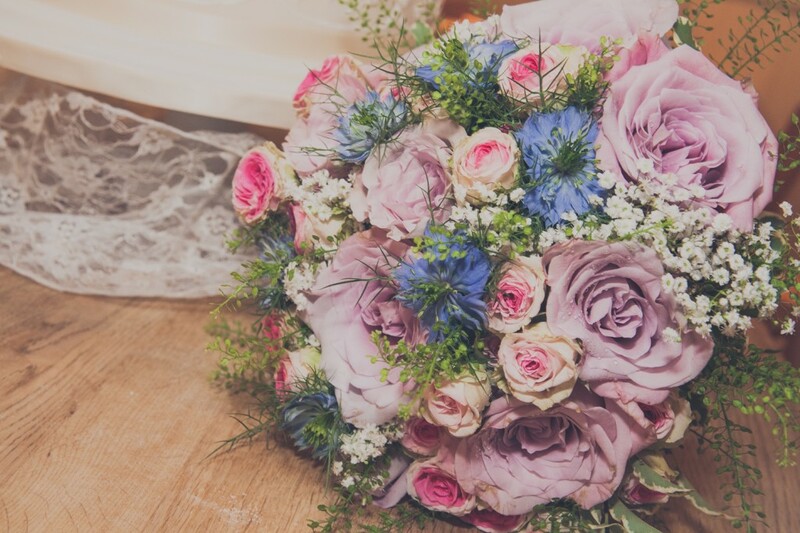 Running between 11am and 3pm this Sunday 16th February, this Northamptonshire Wedding Fair will have so much weddingy wonder going on, if you don’t make it you will miss out! 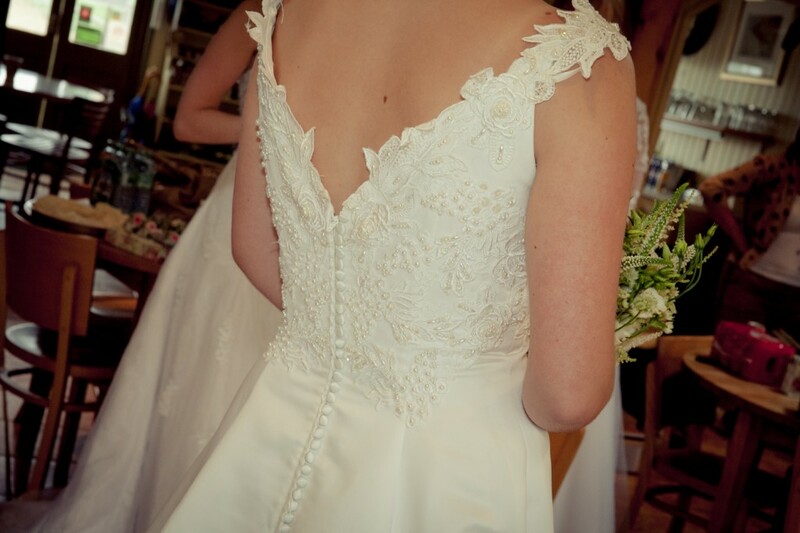 ♥ A Fashion Show at 1pm with loads of stunning wedding dresses, all under £700! ♥ 40 incredible exhibitors showcasing wedding dresses through to groomswear suits, wedding transport through to Hog Roasts and Sweetie Carts. 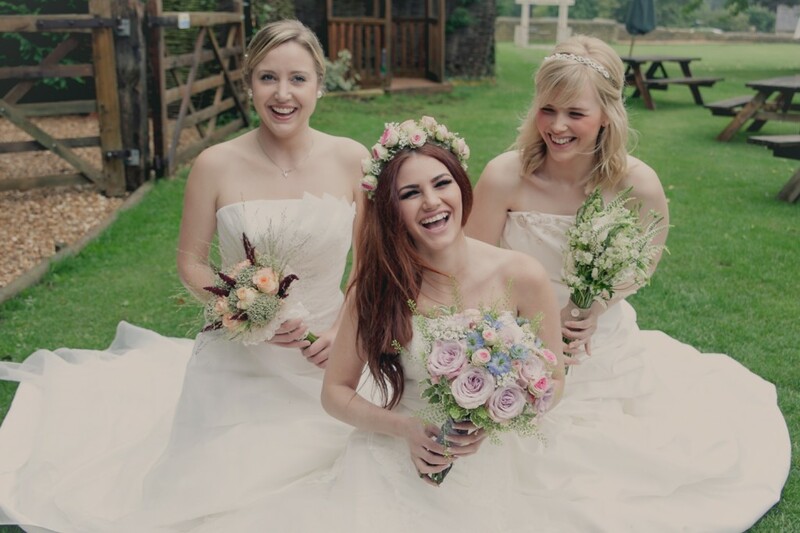 We only pick the friendliest, best value for money wedding suppliers, so that we know that your time will be spent wisely speaking with them! There is also plenty of free parking for all that attend this Northamptonshire Wedding Fair and children are more than welcome! 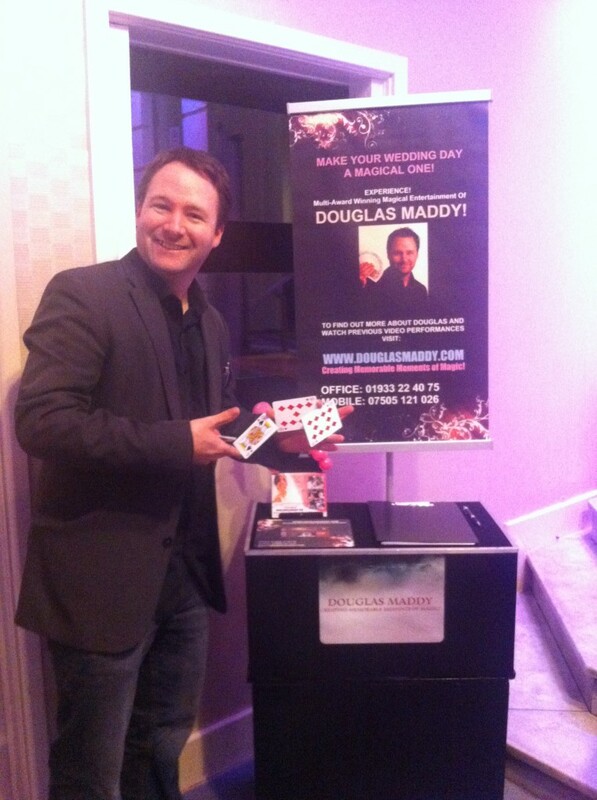 In fact, we even have a Magician who is going to be performing at the Event who will keep them entertained! Check out this video of him at our Budget Bride Live Wedding Fair last year when he totally got my sister! So grab your Beau, your Bridesmaids, your Mum, your to be Mother in Law and whoever else takes your fancy and join us for a brilliant day to help you plan and look forward to your wedding. Just pre-register your FREE place here and we will send you across your confirmation! We can’t wait to see you there! 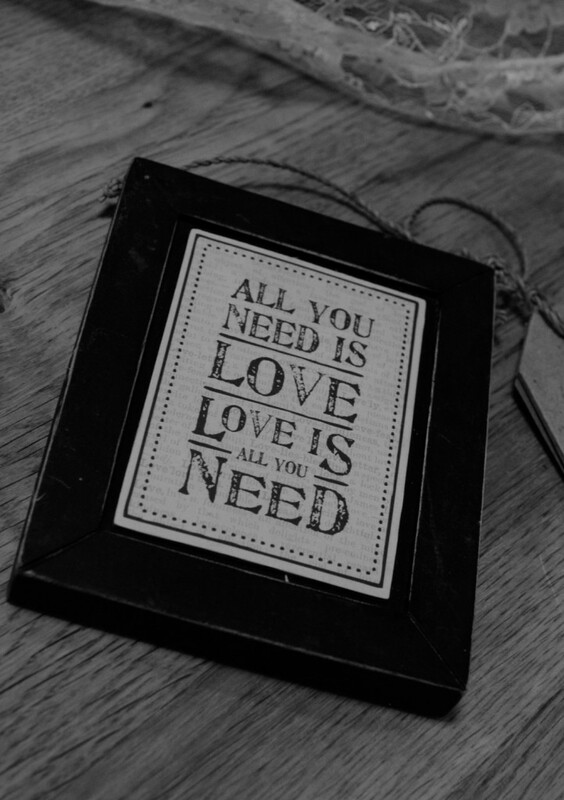 On Sunday morning, Tammy and I headed across with our cars full of goody bags, balloons, chalk boards and bunting, ready to set up for our fourth Budget Bride Live Wedding Fair. We were so excited to be hosting a Fair at the gorgeous Eden Centre in Kettering for the second time and knew from all of you gorgeous brides to be that had pre-registered to attend, that it was going to be a lively event! 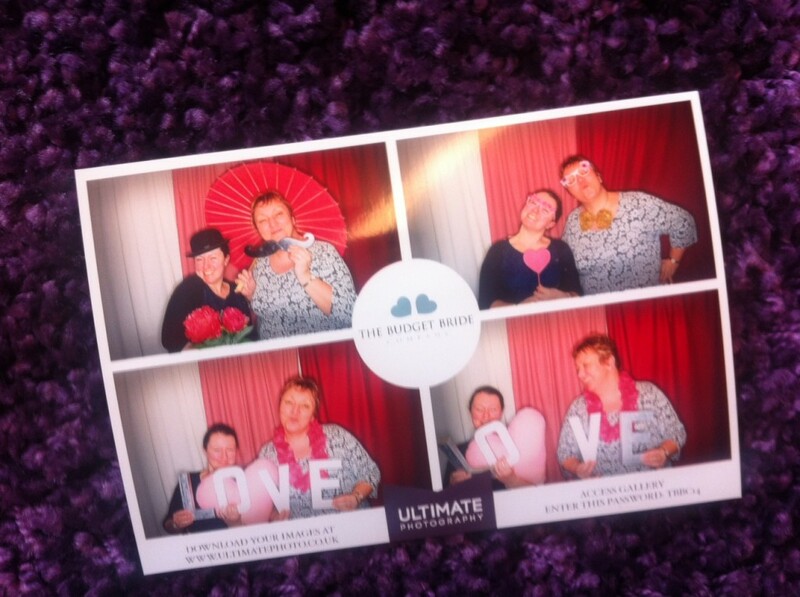 After a crazy couple of hours of setting up tables, creating balloon archways and testing smoke machines, the scene was set and all of our amazing exhibitors were ready to meet you – the brides! 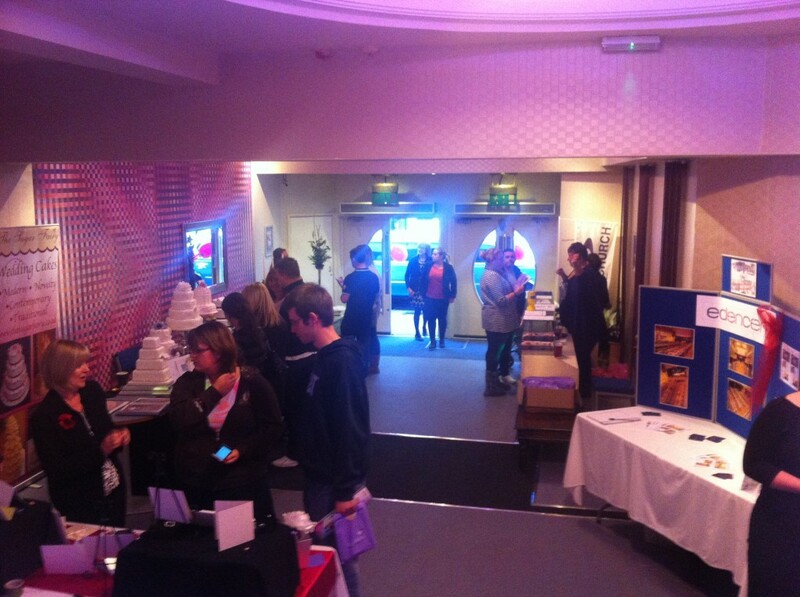 We opened the doors at 3pm and were thrilled to meet so many of you at The Budget Bride Live Wedding Fair registration desk. 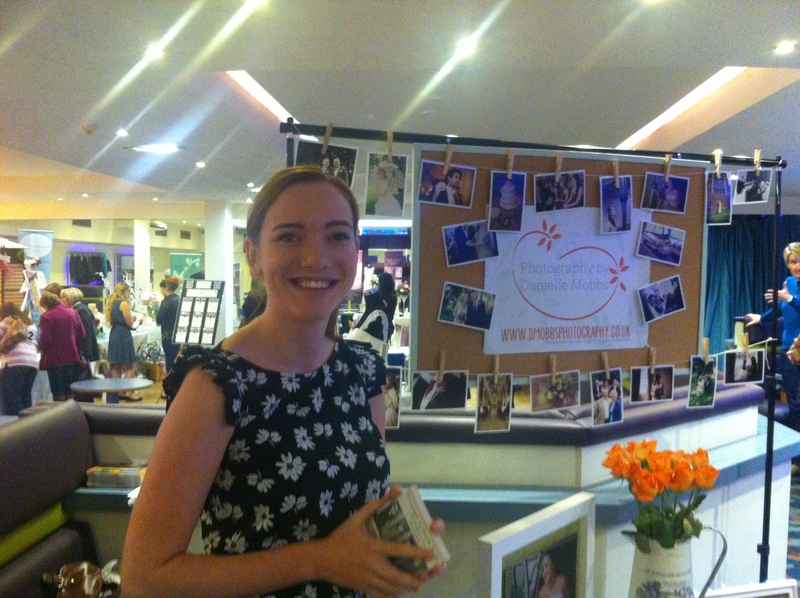 We gave out goody bags containing treats and money off vouchers from Confetti.co.uk, GoHen.com and StagWeb.com along with wedding shopping catalogues and two glossy wedding magazines. 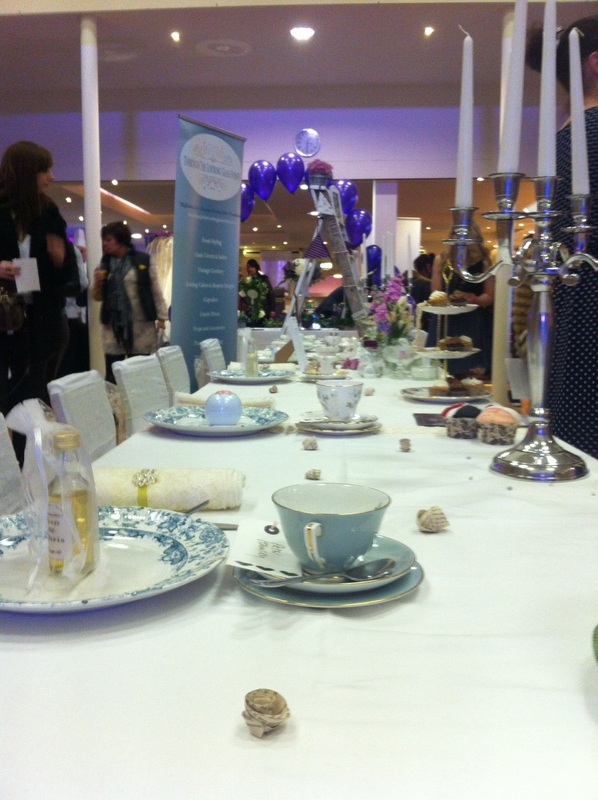 With a glass of fizz in hand, the brides and their families were then free to explore The Eden Centre and to meet with all of the exhibitors. We had every area covered, from scrumptious Wedding Cakes from Capell’s to a brilliant photo booth set up from Ultimate Photography. 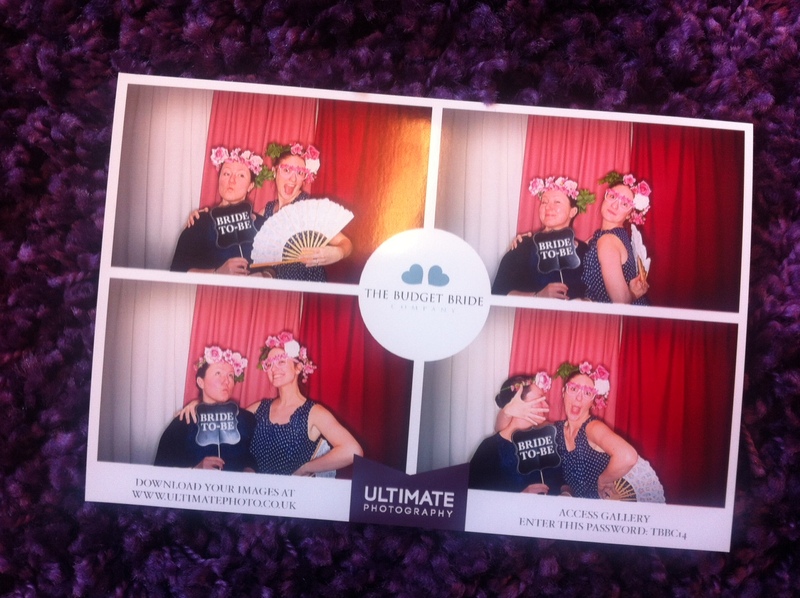 Kelly from Through The Looking Glass and I go crazy in the Ultimate Photography Photo Booth! And no Budget Bride Live Wedding Fair would be complete without a false moustache! After a busy fashion show with seven models showing off at total of 14 dresses from Jewkes Bridal, all of our lovely bridal party visitors had time to meet with amazing companies such as Big Bopper Entertainment and Francis Hale Photography. It was a fantastic day and we were so pleased to meet so many of you. If you didn’t get the chance to attend this Budget Bride Live Wedding Fair, we have another one coming up on Sunday 16th February in Wellingborough so please do pre-register your free place and join us for another fun wedding planning day out with your Bridal Party! 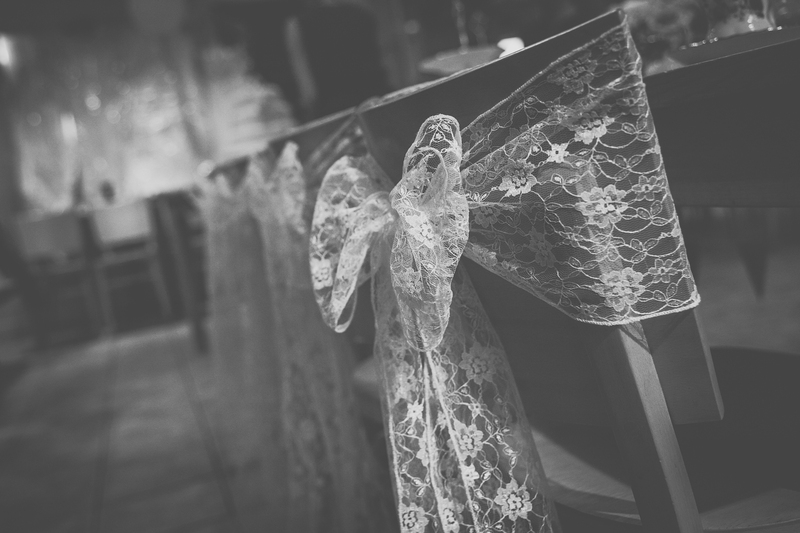 Once the news has been announced that you and your beau are getting married, the cards have been displayed and the champagne has been quaffed, the time will come for you to get on with the actual planning of your wedding. Some people are born planners. They live to organise a party, they are the ones putting their hands up to sort the next work night out or to host a pampered chef evening. But some of us find it a little more tricky! 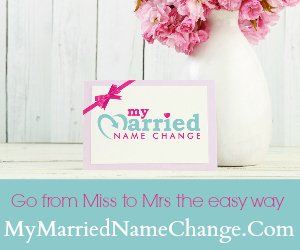 Organising a wedding can be like planning one of the biggest parties that you will ever hold (dependant on the type of do you are planning, of course!) and that can be a daunting task. That’s where Wedding Fairs come in. These events can be a fantastic opportunity to meet with lots of wedding suppliers all under one roof in a non-pressurised environment. 1. BIG time save! The chance to meet lots of wedding suppliers under one roof means way less time traipsing round lots of different towns or spending hours on tonnes of different websites trying to locate different suppliers for each element of your wedding. 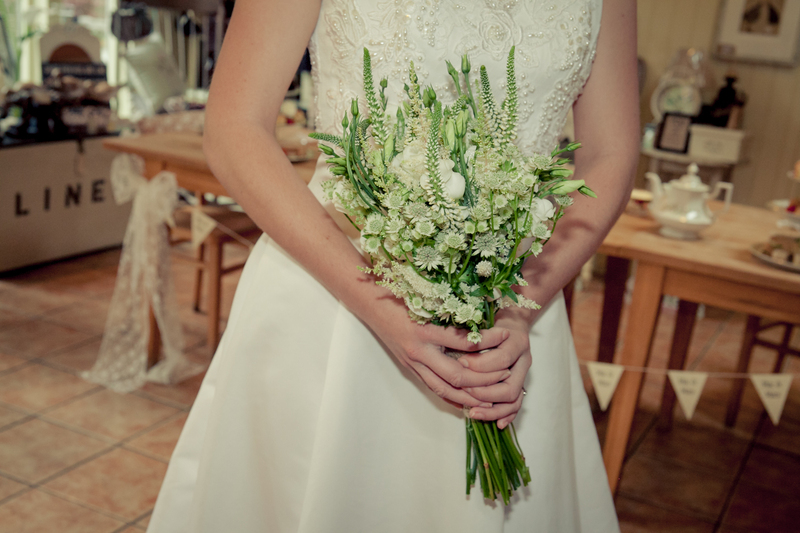 Going to a well organised wedding fair will mean that you can see a selection of different specialists for every part of your wedding under one roof, usually with a time investment of under a couple of hours on your part. 2. You get to meet your supplier in person. This is a big trust builder and can definitely be the tipping point between choosing one wedding supplier over another. Does the florist just *get* what you are trying to achieve? Does the photographer have a style which is perfectly in line with the look you are going for? It can be a fabulous opportunity to see if your supplier is on your wavelength. 3. The chance to get tactile… Seeing a wedding invitation online is one thing, but turning it over in your hand, feeling the weight of the card and the quality of the materials can make it much easier to make those tricky decisions on which products you want to commit to. 4. Deals and Offers. You will often find that suppliers have fantastic offers available to those who make a booking on the day of the Fair. Take advantage of any discounts offered and you may find yourself shaving a hefty chunk from your allowed budget. 5. 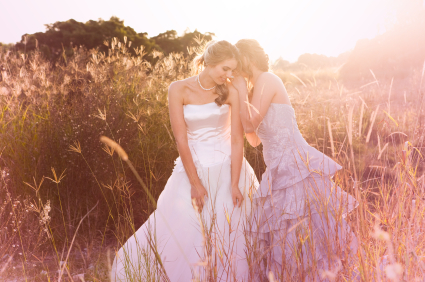 Ticking the boxes… Taking your your best friend with you to a wedding fair is a surefire way to get an honest opinion on whether something is going to work – or not. Listen to the advice of the suppliers and that of your BFF and you can start ticking a few of those to do tasks from your list. 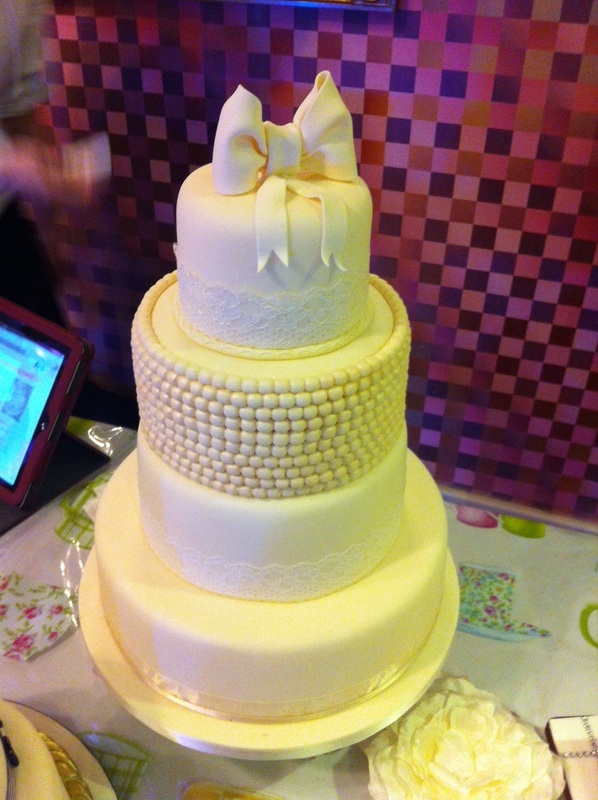 Our Budget Bride Live Wedding Fairs are completely free to attend when you pre-register. 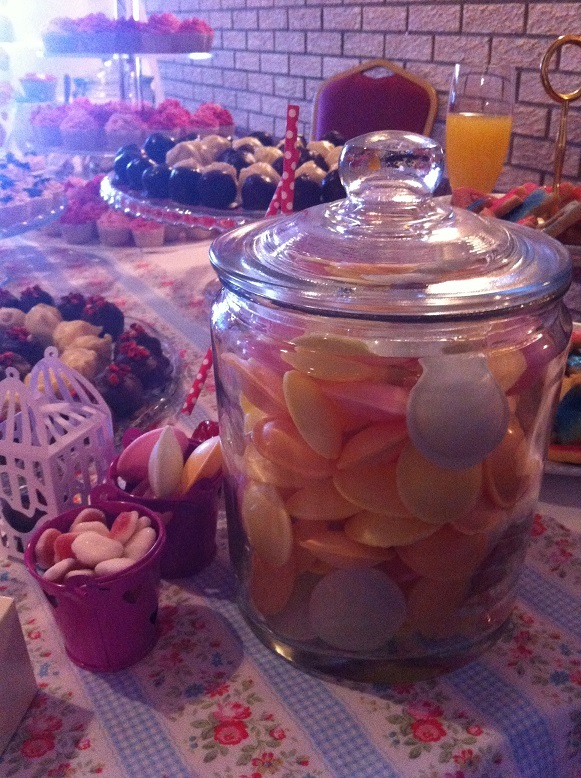 We ensure that there is a fantastic spread of different supplier types for you to chat with. Coupled with a goody bag and a glass of fizz when you arrive, it really is a great way to start off your wedding planning. Our next Fairs are running in the East Midlands region at The Eden Centre in Kettering on Sunday 2nd February from 3pm to 7pm and at The Ruby Lounge at Diana’s in Wellingborough on Sunday 16th February from 11am to 3pm. The Budget Bride Team are always on hand in the Reception Area at any of our venues to have a chat with you and help you with any wedding planning questions you might have! So, our next Budget Bride Live event is almost upon us! Running this Sunday 13th October between 11am and 3pm at The Ruby Lounge at Diana’s Health and Fitness, 109E Finedon Road, Wellingborough, Northamptonshire, NN8 4AL. 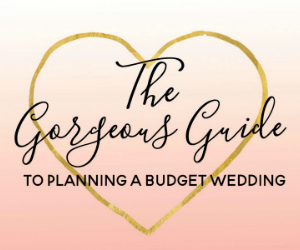 At The Budget Bride Company, there is nothing we love more than introducing brides to be to our brilliant suppliers who have all of the know-how, products and services to make sure you get your day on the budget you have available. The Ruby Lounge will be putting on glasses of lovely bubbly bucks fizz for all of the visitors and will be sharing some delicious canapés with you to show off their catering that is available when you book your wedding venue with them! 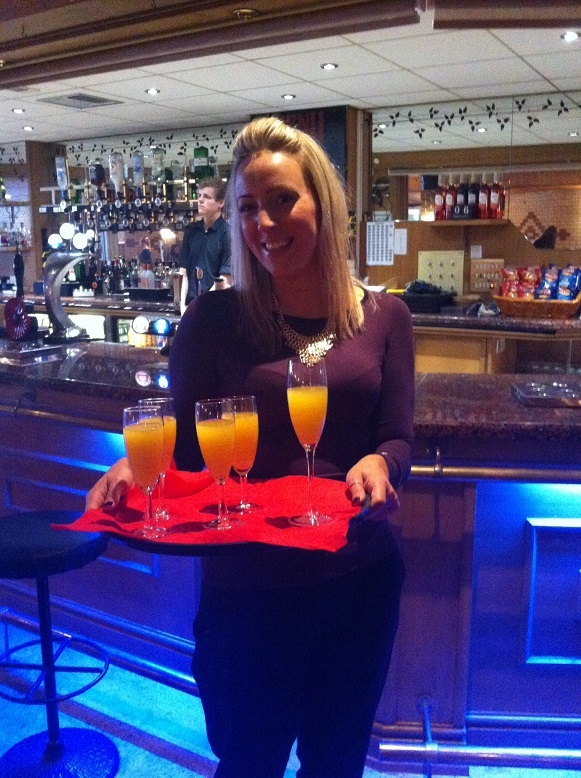 With fantastic package prices, The Ruby Lounge makes a gorgeous choice for your wedding venue in Northamptonshire. You can meet with the reps from the venue on Sunday and they will be able to give you a full tour and run through the options to suit your specific requirements. Styling by Through the Looking Glass Events and Wedding Cake by Flowers and Ribbons, both of whom will be exhibiting at this event. Photography by the amazing Danielle Mobbs Photography who you can meet at our Eden Centre Event. We have some lovely goody bags courtesy of www.confetti.co.uk with brilliant discount vouchers that you can use to buy anything from favours to stationery for your wedding day! 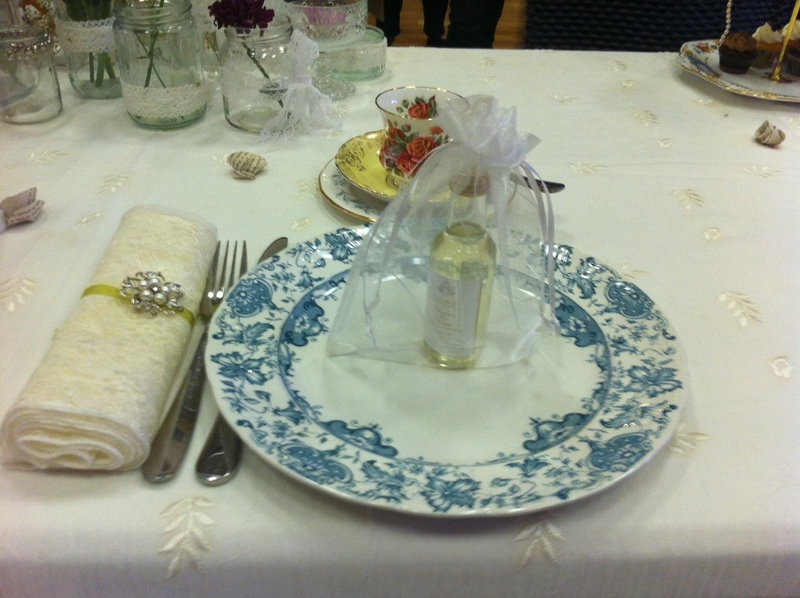 We also have some other lovely treats for you in the Bridal Goody Bags, so be sure to pre-register your place here! We can’t wait to see you there for a glass of bubbles and a good old natter about your wedding day plans. To secure your place, simply pre-register your details and we will have your goody bag and bucks fizz ready for your arrival! Remember, there is free parking and so many deals to be had on the day – not to be missed! Bring your friends along too for a lovely afternoon out! Here at The Budget Bride Company Office, there has been talk of very little else for the past month. We are so excited to confirm that you can now book on to attend our very first Budget Bride Live Wedding Fair, taking place on Sunday 10th February from 11am to 3pm at Diana’s Health Club, Wellingborough, East Midlands Region. Grab your bridal party and make sure that you Save the Date for a fantastic Wedding Fair showcasing some of the best quality, budget friendly suppliers in the area. So, what can you expect on the day? We are going to take over the entire venue at Diana’s Health Club, so this means that you get room after room full of fantastic suppliers to help you decide on everything you need for your wedding day. 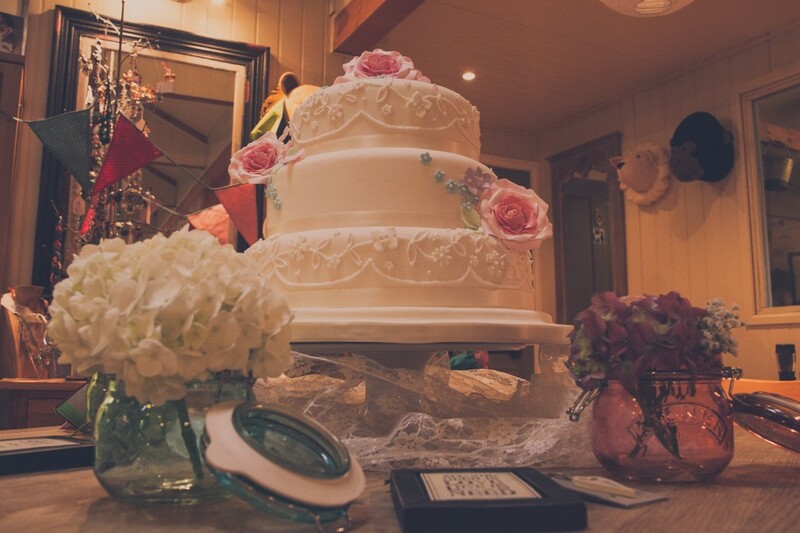 Whether you are looking to secure a fantastic photographer, the right company to make you an incredible cake, or for the wedding dress of your dreams, we have the wedding suppliers to help you. 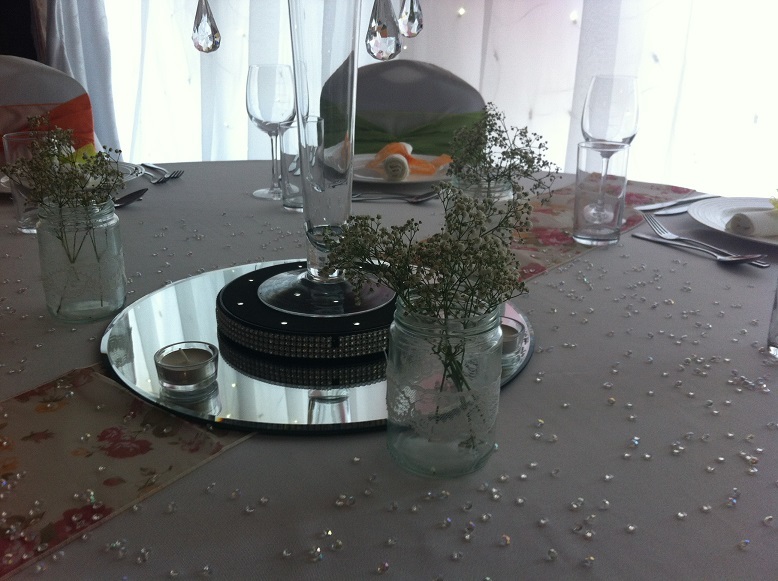 The Ruby Lounge: View this lovely venue as it could look for your wedding reception. With bar, dance floor and a view over the pool, the Ruby Lounge makes the ideal location to hold your wedding celebrations. Meet with our fantastic suppliers and view the fashion shows and bridal catwalks that will take place throughout the day. The Classic Suite: Your opportunity to meet with some of the best local suppliers, in a relaxed atmosphere. From wedding favours to fabulous flowers, this will be an excellent opportunity to get inspired with some help from the experts! The Vintage Zone: Step into our Vintage Wedding Zone and be transported to your perfect wedding day full of all those retro touches that could make it so special! 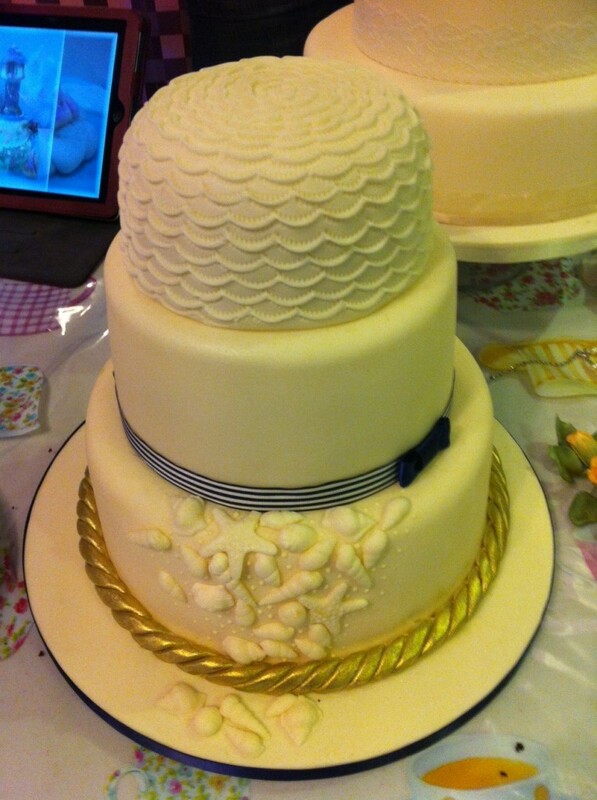 Do you dream of pretty bunting, antique crockery and art deco dresses? A visit to the Vintage Zone will be a must! 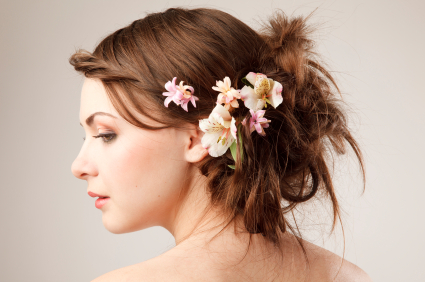 The Boudoir Bridal Zone: We all know that it’s all about the bride on the big day! The Boudoir Zone will be dedicated to all things pretty for your wedding day – whether you are looking for a wedding hair and beauty specialist, some luxurious bridal lingerie or to book your hen do in for pamper evening, this is the zone for you. 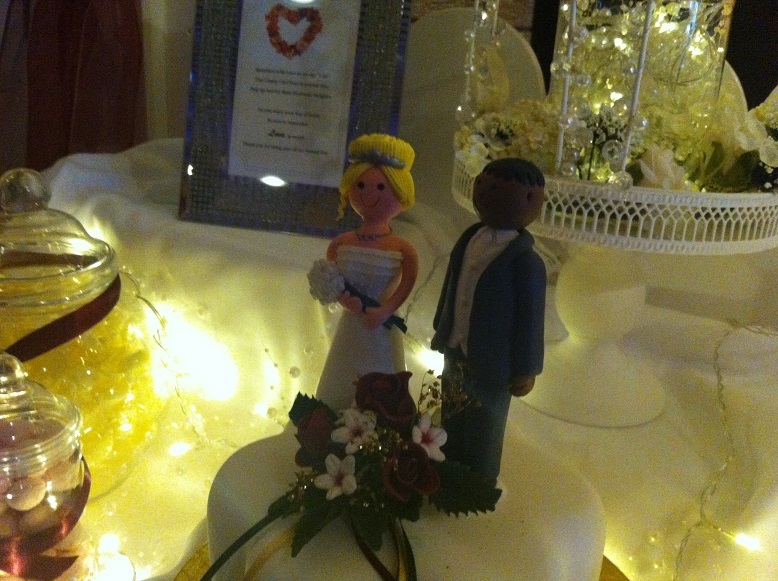 The Children Zone: Will you be having lots of younger guests at your wedding? Choosing the right children’s entertainment is so important, and in this area you will be able to meet with the suppliers who can help you! Whether you are thinking of face painting or magicians, having children’s entertainment at your wedding will mean you keep both your younger and older guests happy! 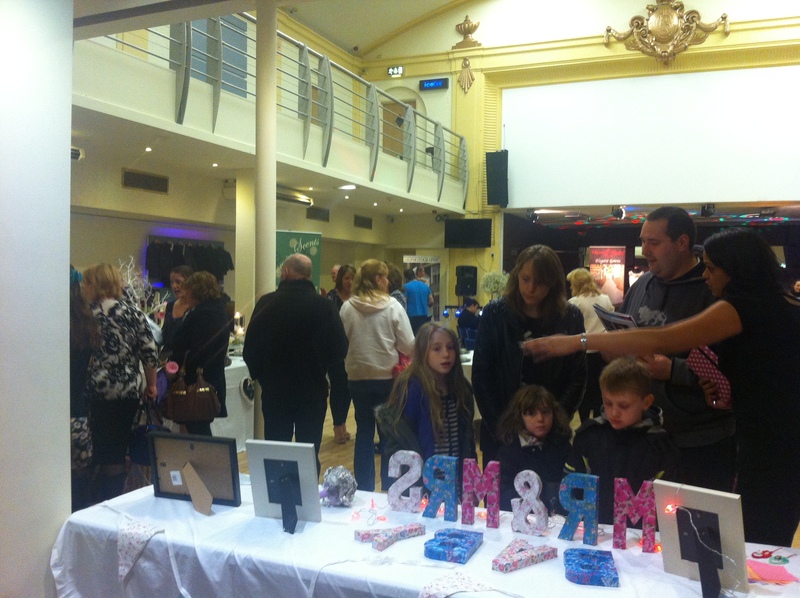 There will be more zones confirmed shortly – keep an eye on the Wedding Fair Page for the most up to date information. 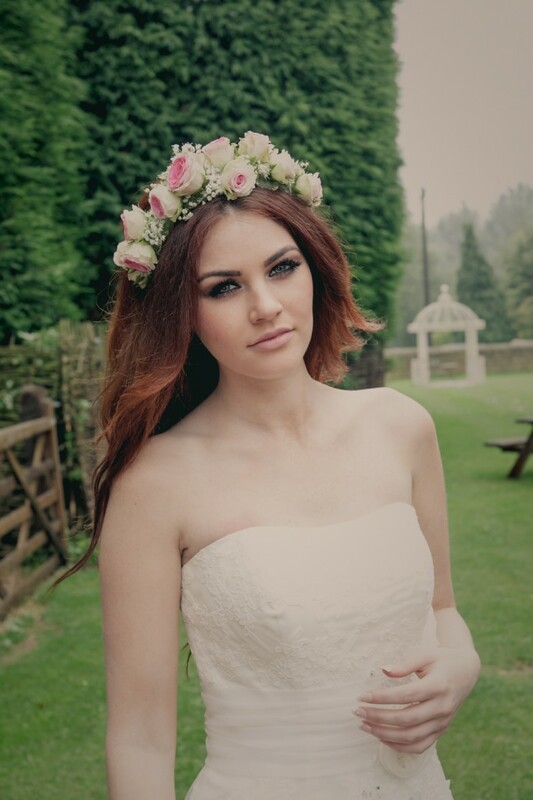 Our aim at The Budget Bride Company has always been to bring quality wedding suppliers to brides who have a tight budget to stick to for their wedding day. You want to enjoy every minute of preparing for your big day and our wedding suppliers can help you do just that. They understand that you want quality services for your wedding day and that you don’t have a limitless budget to achieve that. Our Budget Bride Live Wedding Fairs are going to be vibrant events full of inspiration. We will be waiting to welcome you for an amazing day and can’t wait to help you choose the right wedding companies to work with to make your dreams come true on the budget you have set. You can book your place here –http://www.budgetbridecompany.co.uk/#/wedding-fairs/4570979712 don’t forget to check back regularly for updates on who is going to be there. Look forward to seeing you then!